By creating a Lightning Knowledge home page, you’ll have everything you need in one place. 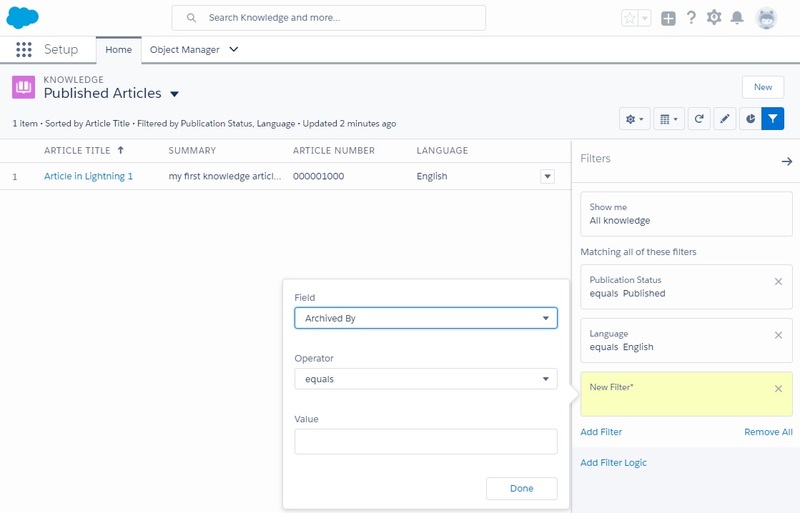 When you are on the home page, you can author, manage, search and view articles in Lightning Experience. With standard user permission, any user can get access to these actions. System Admin can customise list views to display some important fields. A custom list view can’t contain fields that are not on the article record, such as data categories, ratings, view count and cases. To work with Lightning Knowledge, your support agents will need the Knowledge user licence and some permission sets. You can find the full list of requirements along with configuration steps for the Lightning Knowledge home page in the Lightning Knowledge Guide.